Destiny®: The Taken King — This expansion for Bungie’s first-person shooter holds the prestigious title of most downloaded day-one game in PlayStation Store history. If you didn’t get this bestseller on launch day, this is the perfect time to catch up. Until Dawn® — This survival horror adventure game centers around a complex, branching storyline that will keep you on your toes as you try to keep eight characters alive in the Blackwood Pines Lodge. Good luck… you’ll need it. Call of Duty®: Black Ops 3 — In the latest installment of the legendary military franchise, you’ll shoot your way through 2065, a dystopian future in which humans have merged with robotic technology to an unprecedented extent. 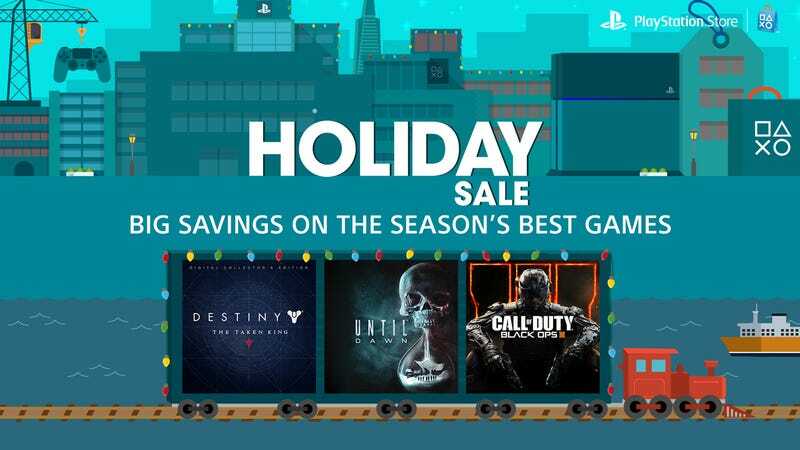 Hurry up and grab these celebrated titles at PlayStation Store before they’re replaced with a fresh batch of deals! Be sure to check back every Tuesday to save on a new collection of games. Tony Carnevale is a senior writer for Studio@Gawker and will totally play games with you. This post is a sponsored collaboration between PlayStation Store and Studio@Gawker.